When do we perform an Extraction? Sometimes there is too much damage for a tooth to be repaired. Even though our philosophy is to save the tooth as far as is possible, in these situations we elect to perform an extraction as a last resort. If you have extra teeth that block other teeth from coming in. People receiving radiation to the head and neck may need to have those teeth in the field of the radiation to be extracted. 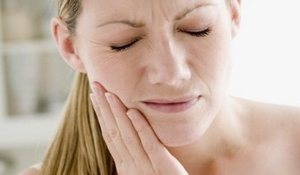 Wisdom teeth are often extracted either before or after they come out. They commonly come out during the late teens or early 20s. These teeth often get stuck in the jaw (impacted). They need to be removed if they are decayed or cause pain. How we perform an Extraction? We first evaluate your medical and dental histories to determine if you need any special care. The next step is to take an XRay of the area to help plan the best way to remove the tooth. Sometimes we will prescribe a course of antibiotics before the extraction. However this is not always the case. Usually we prescribe antibiotics if you have an infection, a weakened immune system or specific medical conditions which we determine from evaluating your history. A Simple Extraction is performed on a tooth that can be seen in the mouth. This is done using just a local anesthetic. In a simple extraction, we first gently loosen the tooth with an instrument called an elevator. This is an instrument that fits between the tooth and the gum. Then when the tooth is loose we carefully take it out from the socket. A Surgical Extraction involves teeth that cannot be seen easily in the mouth. They may have broken off at the gum line or they may not have come in yet. To see and remove the tooth, we peel back the gum flap. This provides access to remove bone and/or a piece of the tooth. Surgical extractions are done with local anesthesia, but you can also have conscious sedation. Patients with special medical conditions and young children may be given general anesthesia. 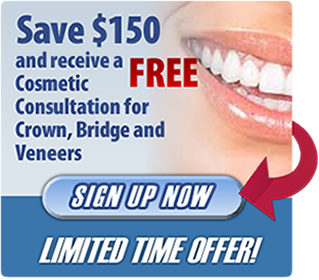 Whatever the situation we will ensure that the procedure will be as painless as possible. Most simple extractions do not cause much discomfort after the procedure. You may take an over-the-counter medication such as Ibuprofen for a few days until it heals. Sometimes you may not need any pain medicine at all. Because Surgical Extractions are more complicated, they generally cause more sensitivity after the procedure. The level of discomfort and how long it lasts will depend upon the difficulty of the extraction. You can put ice packs on your face to reduce swelling after the procedure. If your jaw is sore and stiff after the swelling goes away, try warm compresses. Eat soft and cool foods for a few days. Then try other food as you feel comfortable. A gentle rinse with warm salt water, started 24 hours after the surgery, can help to keep the area clean. Initial healing takes at least two weeks. If you need stitches, they usually disappear (dissolve) on their own. They should disappear within one to two weeks. Rinsing with warm salt water will help the stitches to dissolve. Some stitches need to be removed by us and we may need you to come to the clinic for a visit. 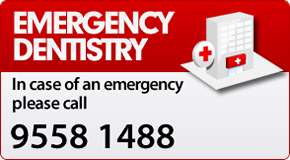 To make an appointment call us on 1300 32 TEETH.